Gaius Valerius Galerius Maximinus Daia Augustus, also known as Maximinus Daia or Maximinus Daza, was Roman Emperor from 308 to 313. Maximinus was born of Dacian peasant stock to the sister of the emperor Galerius. He rose to high distinction after joining the army. 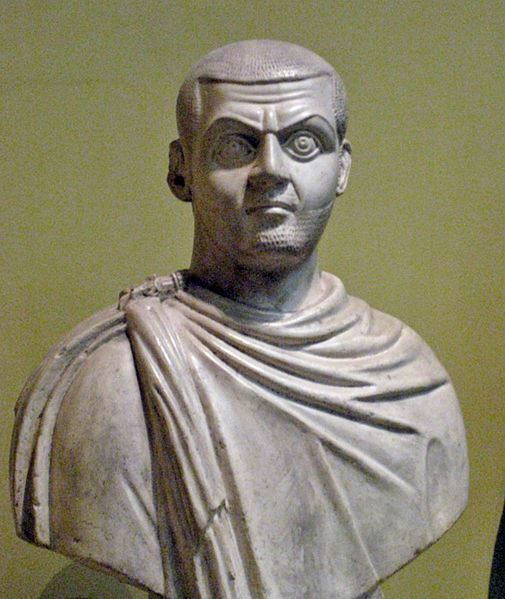 In 305, his maternal uncle Galerius became the eastern Augustus and adopted Maximinus, raising him to the rank of caesar, and granting him the government of Syria and Egypt. He became embroiled in the Civil wars of the Tetrarchy between rival claimants for control of the empire and was defeated by Licinius. Ref: Sear Cf. 14781; RIC 86 Var.